Gown beautiful. Fitting was off - Fit in the bust and hips but not waist. I have an hour glass figure, so not sure why the waist did not fit. Wished it did. May order in a custom size in stead of off the size chart. 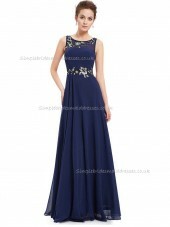 This is a stunning dress and I look to wear it for my work 10 year ball. I am just ordering it now and if it looks as amazing as in the picture then the night will be perfect!